All road users with visual impairments have to wear corrective equipment at all times. Myopia, or near-sightedness is an eyesight disorder caused by an eye that is too long. A person with myopia sees badly in far vision but well in near vision. Hyperopia, or far-sightedness, is an eyesight defect due to an eye that is too short. A person with hyperopia sees badly in near vision but well in far vision. Hyperopia is the opposite of myopia. Caused by the aging of the crystalline lens, it changes shape less easily and the subject sees less and less well in near vision. Everybody over the age of forty suffers from presbyopia. To correct your presbyopia, wear the appropriate eyeglasses. Bifocal eyeglasses wearers reported more difficulties with tasks requiring changes in focus (1). Progressive lenses or contact lenses are the most appropriate solutions. 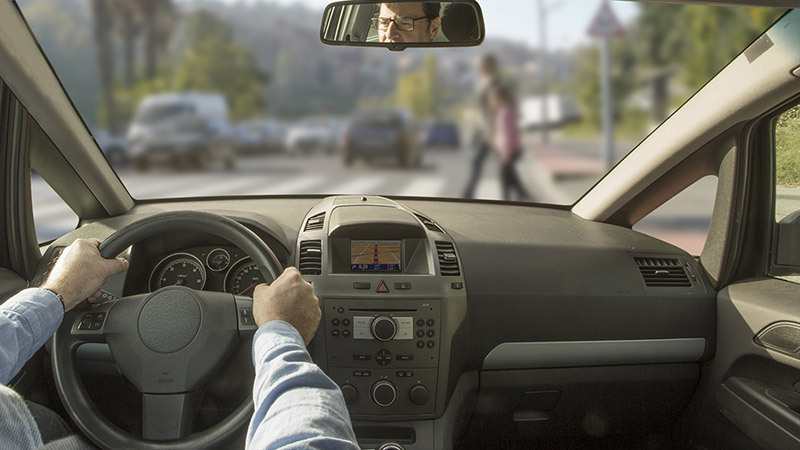 A progressive lens insures, thanks to a smooth transition between each zone, a good vision wherever you look. Glare affects everyone's vision depending on their sensitivity. In UK, glare of the sun causes nearly 3,000 accidents a year (2). 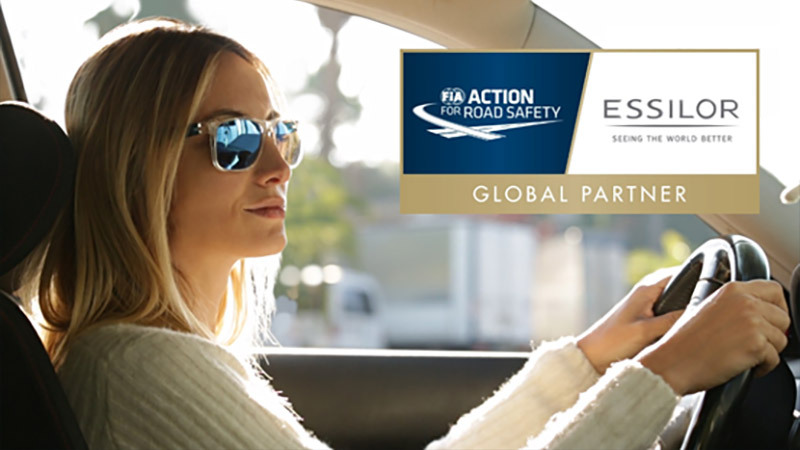 By eliminating reflected glare, polarized lenses improve driver reaction time by up to 0.3 seconds. When traveling at 80km/h, this allows drivers to stop up to 7 meters quicker (3). The effect of blurred vision at night is especially important.. The effect of blurred vision at night is especially important. You are 2 to 4 times more likely to have a fatal crash at night (4). When wearing eyeglasses, protect yourself from light reflections. The use of lenses with antireflective coating reduces halos and recovery times under night vision conditions (5). Sharpness of vision and contrast are improved.